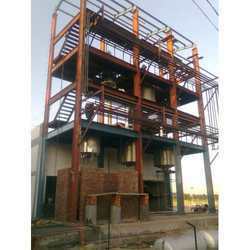 We are a known manufacturers and suppliers of superior quality Pipe Lines and Steel Structures. Offered Pipe Lines & Steel Structures are manufactured as per the set industry standards and norms using high-grade raw material and advanced machines. We offer structures are available in various sizes and specifications to meet the diverse requirements of our clients. Looking for Pipe Lines & Steel Structure ?